Somewhere in this country is an honest patient recruiter. I am sure at least one exists. We haven’t found him or her yet, however. When a physician, clinic or MRI facility has to pay to recruit patients, there is almost always Medicare fraud going on. When we say patient recruiter, we aren’t talking about the marketing director of some senior center. (If this is you, consider changing your title immediately!) The term patient recruiter has become synonymous with Medicaid and Medicare fraud. We are talking about the folks who drive around in vans and recruit the homeless, unemployed and nursing home residents to come to a clinic or other facility for treatments or drugs that they may or may not need and may or may not even receive (even though Medicare is billed for the services). 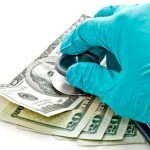 Last week in Miami a patient recruiter was convicted of felony healthcare fraud charges connected to a scheme that billed Medicare for millions of dollars in unnecessary services. Carlos Nerey, 45, of Miami, was convicted of one count of conspiracy to defraud the United States and pay and receive health care kickbacks and one count of receiving health care kickbacks. Nerey was one of many arrested and indicted in the scheme. Most previously admitted their guilt, however. According to the indictment and court records, Nerey was paid approximately $250,000 for recruiting patients for the two fake home care providers (who in turn received $2 million for Medicare.) Everybody made money, except the taxpayers who foot the bill for Medicare. In May of 2016, Nerey was sentenced to 5 years of prison and ordered to pay $2,366,746.00 in restitution. In January of 2014, Mayelin Santoyo, a patient recruiter for a fraudulent Miami-area mental health company, American Therapeutic Corporation (ATC), pleaded guilty today for her participation in a $190 million Medicare fraud scheme. Prosecutors claimed Santoyo recruited Medicare recipients to attend ATC’s intensive mental illness treatment program in exchange for cash kickbacks. The amounts of the kickbacks were based on the number of days each recruited patient spent at ATC. The longer you stayed in the program, the more you were paid. Worse, Santoyo knew that the “patients” she recruited were not qualified or in need of he services. Several people were prosecuted in the ATC scheme. Although Santoyo was directly recruiting patients to attend intensive therapy sessions, other defendants were charged with offering kickbacks to halfway houses and assisted living facilities frequented by transients. Overall, prosecutors say that ATC paid millions of dollars in kickbacks and falsely billed Medicare for tens of millions of dollars. Santoyo was sentenced to 18 months in prison and ordered to pay $868,000 in restitution. ATC’s owner, Lawrence Duran, was sentenced to a whopping 50 years in prison. In yet another patient recruiter scam, a Texas man was sentenced to 60 months in a federal prison. Jurors found that James Hunter recruited Medicare recipients from Houston, Texas group homes to attend a psychiatric health program. Hunter was reportedly paid $1500 for each week a patient attended. He in turn gave the patients $75 per week and told them what to say to doctors about their supposed psychiatric symptoms. In our experience, patient recruiter schemes are most prevalent in Miami, Detroit, Houston, Brooklyn and New Orleans. One former patient recruiter tells us he was paid in narcotics. Working for a pain mill doctor, he would drive drug addicts to the physician office where they would get refills. As part of his compensation, he would take a portion of the patient’s pills. The takeaway from these stories and our experience is that patient recruiters prey on the poor, the homeless, drug addicts, elderly nursing home residents and the mentally ill. They certainly have no business in healthcare. Most Medicare frauds come to light because of whistleblowers. Under the federal False Claims Act, whistleblowers with inside knowledge of healthcare scams, including patient recruiter operations, can receive a large award for blowing the whistle. Patient recruitment schemes are almost always illegal because the federal Anti-Kickback Statute makes it illegal to receive anything of value for referring a patient. Why? Congress believes that medical decisions should be based on medical need and necessity. Paying bribes or receiving kickbacks means medical decisions are based on money and greed, not what is best for the patient. Patient recruitment schemes are not only illegal, they are usually a sign of much larger Medicare fraud issues. When the scheme involves a nursing home, hospital or mental health service, the whistleblower awards can be huge. Million dollar awards are not uncommon. Interested in becoming a whistleblower? Give us a call or send an email. Our whistleblower clients have received over $100 million in awards. We love to help people put a stop to fraud and earn the maximum cash award. All inquiries are kept strictly confidential and there is never a fee for our services unless we recover money for you. If you have accepted illegal kickbacks or acted as a paid patient recruiter, you may still be eligible for an award unless you were the leader or the kingpin of the scheme. Stepping forward could be a smart strategy to avoid prosecution too. Instead of constantly looking over your shoulder, we can help you negotiate a deal with prosecutors to make sure you stay out of trouble and receive an award. or by telephone at (414) 704-6731 (direct). For more information, please visit our Medicare Fraud Whistleblower Information page. Located in New Jersey? The Garden State has its own patient recruiter law.